Aegon Life Insurance was created about 170 years ago and has its presence in North America, South America, Asia, and Europe. It is one of the world leaders in the financial services sector. Aegon Life, in India, is a partnership between Aegon and the Times Group and was established in 2008. The insurer is a modern-day digital service company that has a team employed by the company itself that provides optimal services. Aegon Life insurance does not have insurance agents, hence, customer interactions are directly with the company and premiums are usually lower. 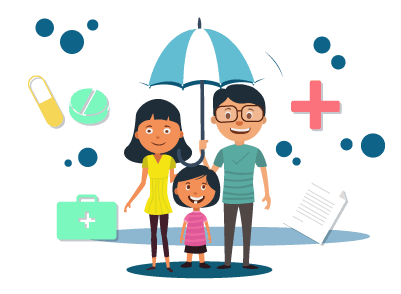 Aegon offers an array of life insurance plan types such as term insurance plans, child plans, ULIPs, savings and investment plans, retirement plans, whole life plans, and money back plans. Under each of the plan types, the company offers different plans with varying features. A life insurance policy is an agreement between the insurer and the assured wherein the insurer promises to cover his/her risk in return for the payment of a nominal fee termed the premium. The premium payable by the insured to the insurer depends on many different factors and differs from insurer to insurer. Therefore, it is a next to impossible task for a person to estimate the premium payable by himself/herself. Aegon Life, therefore, offers an online premium calculator that helps prospective policyholders understand how much they have to pay towards the plan they choose to buy. Hover your mouse over ‘Plans’. When you see the drop-down menu, hover your mouse over ‘Calculators’. Find ‘iTerm Calculator’ and click on it. On the redirected page, enter all the details requested – Name, gender, date of birth, annual income, cover amount, city, mobile number, e-mail ID, and whether you are a smoker or a non-smoker. Once you fill in all the details, the data will be processed and the premium payable towards the term plan will be presented. Comparison of different plans: One can use the premium calculator to compare the different plans offered by the insurer in terms of the cost for each plan type, the sum assured amount, riders, and so on. Cost-effective: After comparison of the plans, the insurer provides an online buying option. Online plans are generally cheaper than the offline plans. The premium calculator, hence, helps the prospective policy buyer choose a more cost-effective option. Saves time: The online premium calculator eliminates the need to submit documents or interact with agents. The simple calculator takes only a couple of minutes to carry out the simple task. Therefore, the premium calculator is a simple tool that one can use to calculate how much he/she has to pay on a monthly, quarterly, or a yearly basis as the term insurance premium. It will help the individual plan his/her finances in advance and decide when he/she can invest in a term plan. The premium calculator saves time and provides accurate information regarding the premium payable.